VoIP, which stands for Voice over Internet Protocol, is a technology that allows you to place local, regional, and even international calls over the internet rather than using a mobile network or a landline. The technology, which is behind services like Skype and WhatsApp, turns voice signals into digital signals before sending them as data using a broadband line. There are many benefits to using VoIP and for companies, the best one is it offers an alternative to making cheaper or even free voice calls, depending on the distance and which country they are calling. VoIP is very useful for businesses with a mobile workforce because it can be accessed through any smartphone. This means that business owners or employees no longer have to miss important calls when they are travelling as they can make and receive calls as if they were in the office as long as they have a VoIP system installed in their mobile phone. 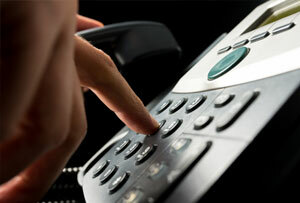 VoIP services also offer other functionalities including call waiting, voicemail and hunt groups, among others. These can be easily managed via an online portal, such as Broadcloud.